Their second strike! Well, their style is some weird mix between surf, exotica, schlager und NDW (German new wave). They use Farfisa organ and Moog synth and it sounds really great! 14 tracks all of them super catchy and great. Their style reminds me a bit of Los Banditos, but musically they are different. 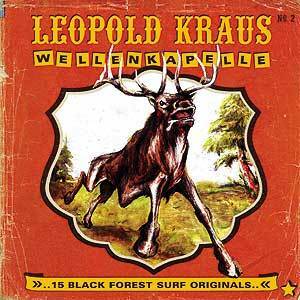 Leopold Kraud is sooooo super cool. If you don't have this CD in your collection, you don't know what you're missing. This CD is a real masterpiece.